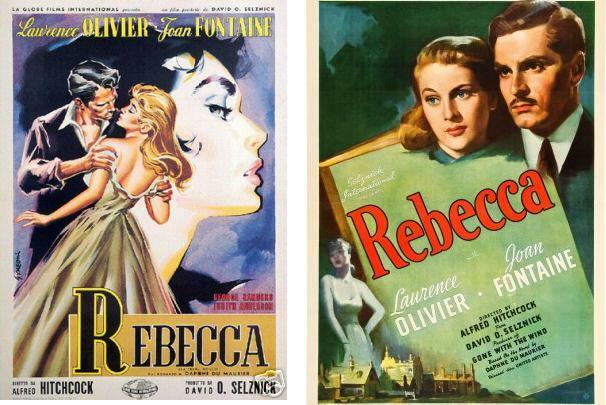 I love comparing foreign movie posters. 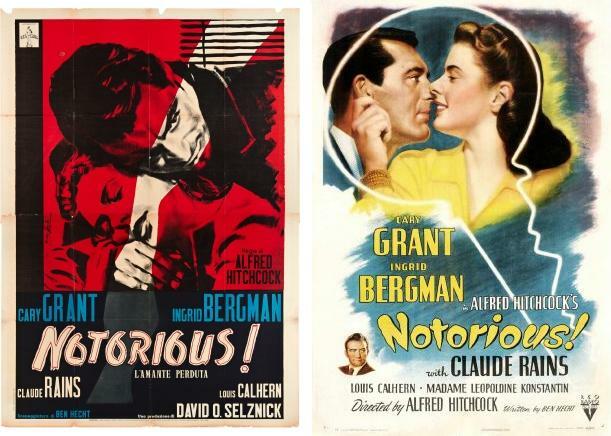 The two posters for Notorious definitely contrast–Grant looks pretty villainous in the Italian version. I like the inventive ways the Italian posters used color. However, the U.S. Vertigo poster is, for me, the definitive one. I much prefer the Italian NOTORIOUS poster, but the U.S. VERTIGO is still the best! Great idea for a fun post. I prefer the American versions of Diam M for Murder and Vertigo. The Italian posters are better for the rest. Gorgeous posters! Thanks for sharing these. The Italian versions win for every movie except Vertigo. 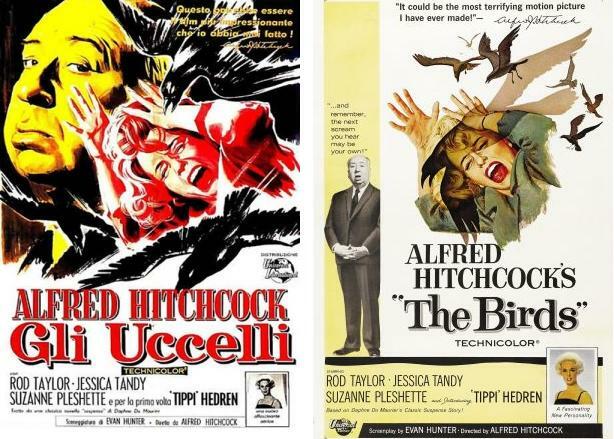 Hitchcock grasping at his neck in the American poster version of Rope is actually unintentionally funny!